Etherton Mpisaunga was appointed as Operations Director – Beverages in 2010. He is currently focussing on the Sorghum Beer operations in both Zimbabwe and the region. He initially joined the Group in 1984 and left in 1992 to work for The Coca Cola Company. He rejoined the Group in 1995 and has held various senior management positions within the Sorghum Business Division and Beer marketing. Maxen Phillip Karombo was appointed as Operations Director responsible for the Lager Beer and Soft Drinks business units in April 2018 and remains in charge of Group Marketing. He re-joined the Group in January 2011 as Marketing Director. He worked for Unilever in various senior roles in marketing, sales and general management in the company’s East and Southern Africa region. He was country managing director in both Zimbabwe and Uganda. He initially joined the Natbrew (Lager Beer Division) in 1997 in the marketing department. He is a non-Executive Director of CBZ Bank and Zimnat Life Assurance and Leonard Cheshire Disability Trust of Zimbabwe. Moses Gambiza was appointed General Manager – Sparkling Beverages in April 2014. He joined the Group on 1 May 2000 as a Financial Controller at the then National Breweries. He held various positions in finance until being appointed to the Group Management Committee as General Manger – Southern Region in May 2013. Alex Makamure was appointed as Company Secretary in January 2006. He is currently also responsible for Group Treasury and Corporate Affairs. In this role, he has covered additional responsibilities in procurement, tax administration, group accounting and corporate affairs. He joined the Group as a finance manager at Chibuku Breweries in May 1998 and has occupied various roles in finance and administration in the Beverages Business. 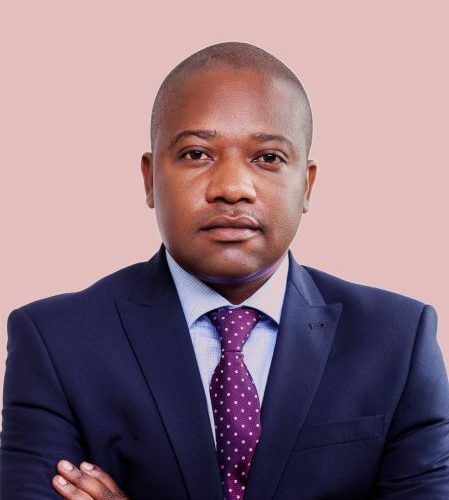 He sits on the board of Schweppes Zimbabwe Limited as a company representative and is a non-executive director of African Sun Limited, chairing the audit committee. Cynthia Malaba was appointed as Director – Supply Chain in April 2013. She joined the Group in 1999 as an Internal Auditor at OK Zimbabwe and was promoted to the Head of Risk and Internal Audit in 2003. In 2010 she was seconded to The Coca-Cola Company in East Africa on a senior management development program. Dave Mange was appointed to Director Information Technology in 2011. He joined the Group’s IT Internship programme in 1990. He held various management positions before his appointment as General Manager Information Technology in 2007. Munyaradzi Nyandoroh was appointed General Manager – Lager Beer Business in April 2014. He joined the Group in 1985 working in the technical department of the then Chibuku Breweries division. He left the organization in 1992 to pursue further studies and re-joined in 1996 as Technical Director for Chibuku Breweries. He was appointed General Manager for the Agro-Services in 2002, and as GM Operations for the Southern Region and thereafter the Northern Region. Marshall Pemhiwa was appointed Human Resources Director in April 2011. He joined the Group in March 1998 as a Graduate Trainee Psychologist/HR. He held various management positions before assuming the position of HR Executive – Beverage Operations in 2009. He sits on the board of Mandel Training Centre and is the immediate past president of the Institute of People Management. Tichafa Rinomhota was appointed the General Manager – Sorghum Beer in April 2017. He was recently the Group Technical Director in 2011. He also has functional responsibility for the malting business unit. He joined the group at the then National Breweries division in 1999 as Engineering Manager and rose through the ranks to become the General Manager – Technical for the Lager Business in 2007. He has previously worked for a number of mining and construction companies. Ronny Palale is a Fellow of Zambia Institute of Chartered Accountants (ZICA) and fellow of Association of Chartered Certified Accountants UK (ACCA) with wide and varied experience. He joined SABMiller in 2004 as an Executive Assistant to the Managing Director of National Breweries Plc. Zambia then rising through the ranks as Operations Director in 2008. In 2012 he was appointed General Manager of Heinrich’s Beverages tasked with growing the non-alcoholic dairy beverage interests. Latterly Ronny held the position of Route to Consumer Manager for Zambia Breweries Plc. a subsidiary of ABInbev. Prior to joining SABMiller, Ronny worked for KPMG in Lusaka.